FOR Bernard Gore, becoming lost and trapped in the stairwell of a Westfield shopping centre proved fatal and his body lay undiscovered for three weeks. But the nightmare of being lost in a labyrinth of self locking doors and confusing exits at Westfield centres can happen to anyone, the Sunday Telegraph reports, and management of the billion dollar retail chain has declined to comment. Sydney woman Loretta Feeney, who was locked in a Westfield stairwell on Boxing Day for a frantic hour before escaping by using a tiny phone signal, said the death was "an accident waiting to happen". 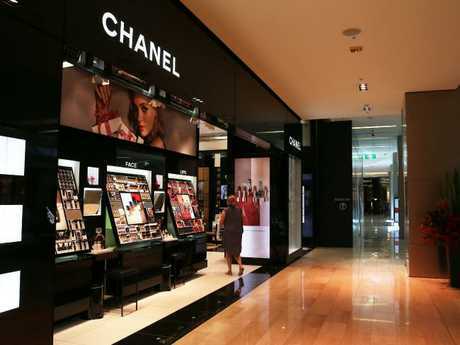 The badly decomposed body of 71-year-old Mr Gore was only discovered last Friday in the stairwell behind high end stores Chanel and Scotch & Soda on level four at Bondi Westfield. Mr Gore's body was found exactly three weeks since he was last seen, lost and confused, inside the Chanel store. Bernard Gore (above) became trapped in the Bondi Westfield stairwell behind luxury store Chanel three weeks after he was last seen confused and then died. Picture: NSW Police. Westfield staff screen off a section of the mammoth Bondi Junction shopping centre after Bernard Gore's badly decomposed body is found in the stairwell three weeks after he vanished. Picture: News Corp.
Mr Gore, a pensioner who suffers from dementia, had travelled from his home in Tasmania to Sydney with his wife to holiday at their daughter's home in Woollahra, in Sydney's eastern Suburbs. On Friday, January 6, Mr Gore, who was carrying only $30 and an Opal travel card, left home at 12.30pm. He told his relatives he planned to walk to Bondi Junction Westfield and do some shopping, before meeting up with his wife and daughter an hour later. He had made the trip from his daughter's apartment to Bondi Junction several times on his own. It has now has been revealed that at one point Mr Gore was trapped inside the Westfield stairwell just metres from his wife, who was waiting on the other side of the door outside Woolworths on level three. But the retired barber didn't have the strength or the capacity to find his way free from the internal maze of stairs and doors. An assistant at the Chanel store in Westfield also said that she had seen the distant look in the face of an elderly man who had wandered into her shop on January 6, asking for help. "He was completely lost and confused," the Chanel employee told the Daily Telegraph. "He came in asking for help, he was frail and confused and was pacing up and down outside the store and eventually came inside. "He said he couldn't find the carpark or people he was supposed to be meeting. I asked if he needed help and he shook his head and wandered off. "We were so worried my colleague called security and one of the guards told us they could check CCTV footage to locate him. "The thought that he had been in the stairwell for three weeks makes me feel so sad. Why has it taken so long to find the body?" Mr Gore’s body was fund in the stairwell behind Chanel (above) three weeks after a store assistant offered to help him but he declined and wandered off. Mr Gore had refused an offer to wear a tracker on his wrist by his son Mark, who feared a repeat of an episode months ago when the retiree disappeared for six hours, but was later found. When Mr Gore failed to meet up with his wife and daughter, they called police. 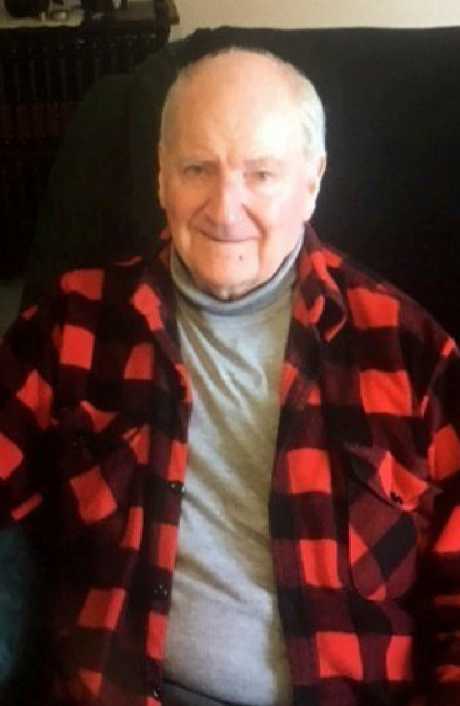 As temperatures soared above 40 degrees in the ensuing days, Mark Gore flew to Sydney from Hobart to help locate his missing father. Police were still making appeals to locate Mr Gore more than a week ago, and members of the public reported unconfirmed sightings of an old man. Staff in stores on the luxury fourth level of Westfield Bondi Junction, close to where Bernard Gore's body was found, said the stairwell was not used by shop employees, Fairfax reported. But one worker said he thought the centre's own security was meant to regularly check the stairwell. Sydney woman Loretta Feeney told the Sunday Telegraph her nightmare experience trapped in a Westfield stairwell behind locked doors only ended because she managed to call a security guard who talked her way out to freedom. Ms Feeney and her mother Ann Galvin became trapped in the external carpark staircase of Westfield on Boxing Day when the queue for the lifts was too long. "I made a point of checking all the signage and all they said was 'Do Not Obstruct'," she said. "There was absolutely nothing on the doors to suggest that the doors locked once they closed on the inside." When they realised they were trapped inside the stairwell, Ms Fenney and her mother frantically banged on the doors for "a good 20 to 30 minutes". No-one came to their rescue. "I had a small amount of phone signal and managed to Google the number for centre management where I was able to get on to a security guard," Ms Fenney said. "He basically talked us through finding an exit which was located all the way down on the bottom level. It was a very stressful experience," she said. Mr Gore was unable to secure his escape, and Westfield declined to respond to the Sunday Telegraph's questions about whether management conducted sweeps of the stairwells or whether a door locked behind Mr Gore trapping him. However, when 20-year-old Sunday Telegraph reporter Sarah Keoghan conducted a test of the enormous Bondi Junction shopping mall's fire exits, she found it confusing and exhausting. Ms Keoghan found there were only two points of escape - the roof carpark or the basement six flights down - an no levels had phones or help points. In 2014, Irish resident Donie O'Sullivan almost died after becoming lost in a Bondi Junction stairwell. Mr O'Sullivan was last seen leaving the Tea Gardens Hotel in the early hours of Saturday, May 3, 2014 and was reported missing by friends. The fire stairs in which Mr O'Sullivan was found were usually cleaned once a week, and were not due for attention for a further two days. It was only a random check by the manager to see his regular cleaners were doing their work that located the Irishman. Mr O'Sullivan spent up to a week in hospital being treated for back and head injuries and dehydration. 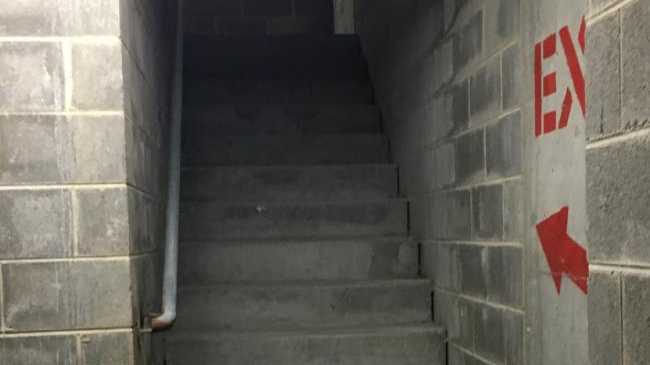 It later emerged that he had fallen 15 stairs to the sixth level where he lay barely conscious for five days just metres from an unlocked door.